This week Strands of Thought plays host to Rosa from Sons of the Sphinx. Glad you could make it today, Rosa. Can you tell our readers a little about yourself, please? Hi! I’m Rosa. I’m 15 years old and a sophomore in high school. I’m your typical teenager—well, almost. I don’t have many friends anymore, but it’s hard to blame the other kids. If I was them, I’d probably steer clear of me too, at least most of the time. No one is ever mean to me; I’ve grown up with most of them, and on my bad days, they try to ignore me. Wish I could do the same to those who talk to me. Mostly I just shake my head and carry on. Well that sounds sort of sad, Rosa, but I admit, I’m really curious about why you’re on the outskirts. What kind of conflict are you up against? OMG. That is a loaded question. I mean, I’m 15. Conflicts are part of my daily life! Passing my classes. Trying to get a date for school dances. Dealing with Nana’s gift nearly every day while I try not to lose my mind. Oh, I bet you’re talking about in the story. Right, I should have known that. Well, without giving too much away, my ability to hear dead people talk pits me against an evil man, introduces me to the most handsome boy I’ve ever seen, and puts my life in danger. Sounds great doesn’t it? Nope. Not at all. Oh, wow! Hearing dead people does not sound fun at all. The cute guy does, though. So tell us more about you. What’s your strongest personality trait? Ha! I guess I should have guessed that, but I love the extra examples. If you could change one thing in this world, what would you change? I would make it so my Nana was still alive. I know that sounds self-centered, but she left me with her gift and didn’t give me any advice. I’m not sure what I’m supposed to do with it. It scares me, really scares me sometimes. I often wonder if she was ever scared. Now that I’ve been through this experience, I long to talk with her about it—to see if there is a way to go out and do good with it, not just wait around and see what happens. Armed with what she considers her grandmother’s curse, 15-year-old Rosa agrees to help the ghost of King Tut find his lost queen Hesena. Though Hesena’s ba inhabits part of Rosa, finding the whole spirit of Hesena so that she and Tut can be together for the first time in over 3300 years proves to be a harder task than Rosa first thinks. Thrust back into Ancient Egypt with Tut, Rosa discovers that finding Hesena is not all she must do. 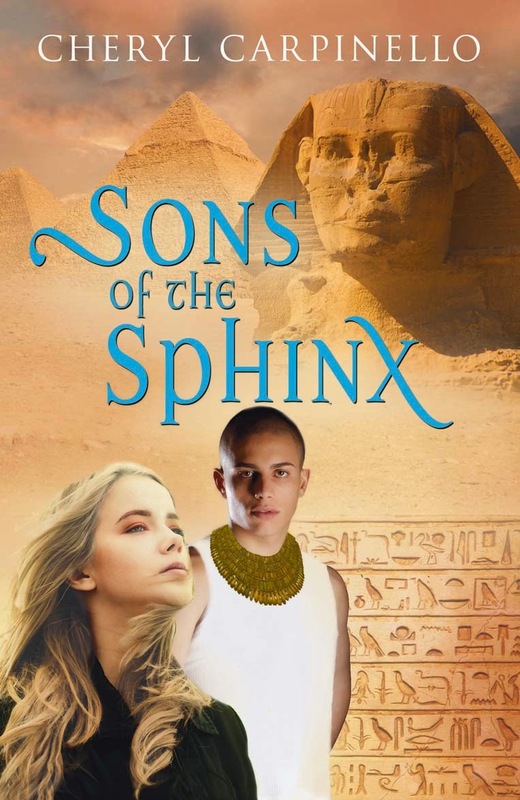 She must also keep out of the reach of the living Horemheb - who crosses mortal boundaries using Seth’s evil magic - if she is to stay alive to make it back home. 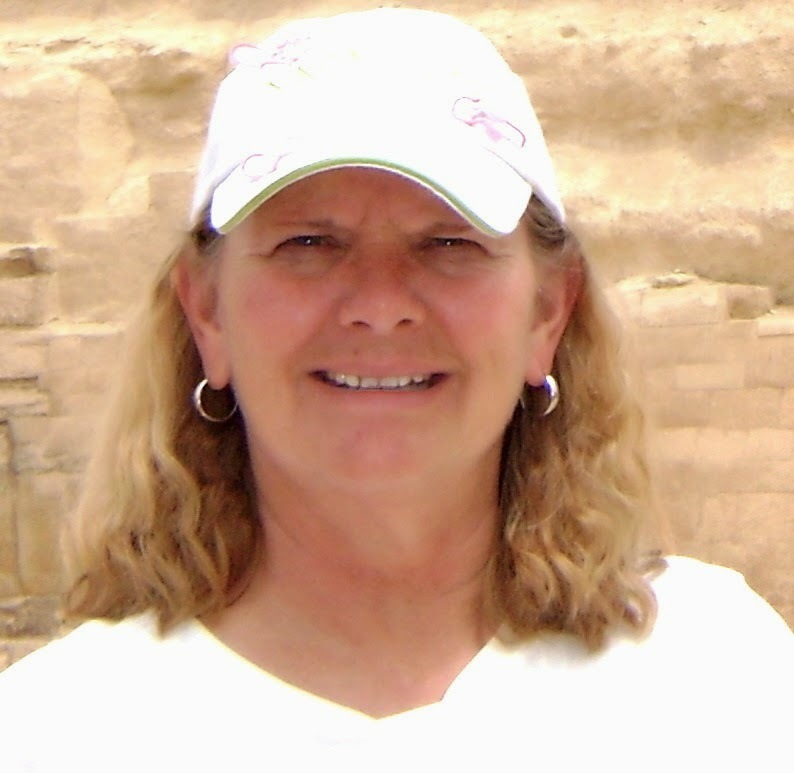 Cheryl Carpinello is a retired high school English teacher with a love for the ancient and medieval worlds. She has traveled through both, and she hopes to inspire young people to read more through her ancient and medieval tales. Thanks for hosting Rosa, Kai! Very fun interview! Love the excerpts and tastes of what the book's like! I love character interviews! Thanks for visiting, Meradeth. Thanks for stopping by, Meradeth. Nice to know the interview came across okay.